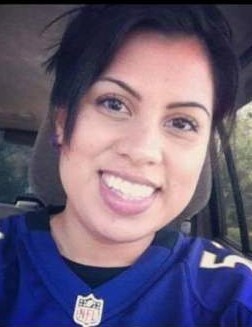 On Tuesday, April 2, 2019, SSG Dinora Flores, mother, daughter, sister and National Guard soldier, passed away suddenly at the age of 33 years. SSG Flores will be forever remembered by her precious children, Jennifer, Ariel and Gabriella, by her mother Blanca, and by her sisters Silvia, Karen and Blanca. SSG Flores will also be forever remembered by her numerous nieces, nephews and dear friends. SSG Flores honorably served the Maryland Army National Guard for more than 9 years. In that short time, she achieved two military occupational specialties including Unit Supply Specialist and Military Police. Additionally, she successfully deployed with her Military Police unit to Afghanistan in support of Operation Enduring Freedom from 2013 to 2014 for 12 months. She was awarded the Army Commendation Medal and 2 Army Achievement Medals for various accomplishments and exceptional effort and success. She was selected, accepted, and had begun her training to become a Warrant Officer, dedicating herself to positions of greater responsibility and trust within the organization. She achieved all this while raising 3 wonderful daughters. She was and will be forever regarded with the utmost respect by her peers, subordinates, and superiors alike. SSG Flores had rare, inspiring talent as an Army Soldier, Non-commissioned Officer, and person. A Service will be held on Thursday, April 18, at 9:00 a.m., at Cedar Ridge Community Church, 2410 Spencerville Rd, Spencerville, MD 20868.